Capable of producing enormous buds within 60 days. 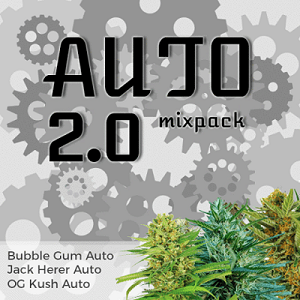 Quick Poison Auto Seeds Review. 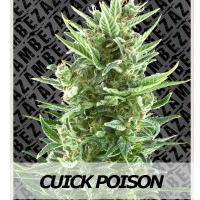 Quick Poison by Zambeza Seeds was among the first autoflowering strains of Cannabis ever. 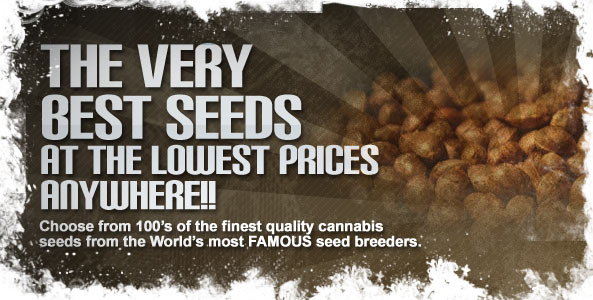 Even compared to other autoflowering varieties, it is reckoned to be a fast growing one. Shortly after its development, it was named as one of the fastest growing varieties on the Earth. 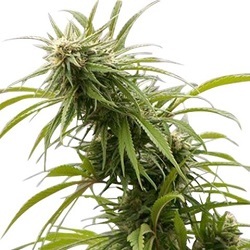 Zambeza Seeds Quick Poison comes from the Canadian genetics, drawing from the Lowryder – one of the original autoflowering varieties. This particular strain is a result of a cross of Northern Light, Rude Bud and Cannabis ruderalis. The autoflowering ability, making it start the flowering period without the need to adjust the lighting schedule, is a legacy left by its ruderalis parent. 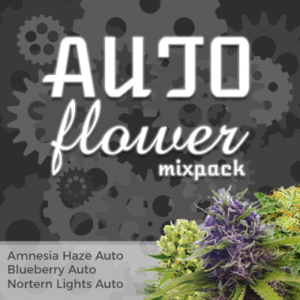 It is the source of almost every autoflowering variety that can be found on the market these days. Since all Zambeza seeds are feminized, Quick Poison will certainly develop into a beautiful female. 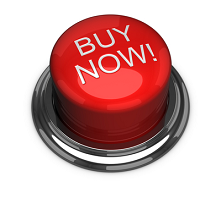 Being an autoflowering variety it can be harvested as soon as 8 weeks after planting the seed. Depending on the conditions, some plants may need 9 weeks, still making it a record breaker. Compared with the regular Cannabis plants, that could take as much as 20 weeks from sprouting to maturity, the pace of Quick Poison growth is incredible. Reaching between 50 and 60 cm, Quick Poison is a rather compact plant. Provided with good conditions, however, this small bush can average 30 – 40 grams indoors, though higher yields are also not unheard of. The smoke has an average content of THC and CBD and produces a nice physical stone. The refreshing flavor is reminiscent of lemon and herbs, with a delicate, lasting taste.